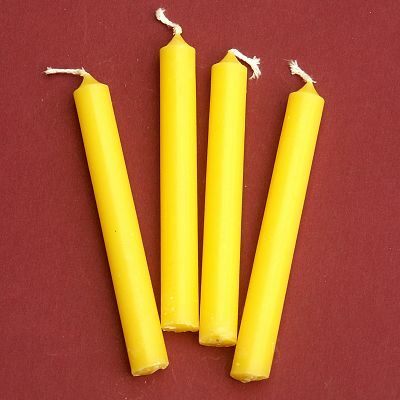 - Set of 4 yellow candles. Often used to represent the element of air, and used for matters of intellect and communication, as well as energizing. Approximately 1/2" in diameter by 4" long. Do you have any other questions about our Yellow Candles - set of 4 mini candles?